Ths issue of frame score and optimum cattle weight is an excellent topic. As you state, there seems to be a sweet spot of cattle with a frame score of 5.5 to 6 and weight of 1200 to 1400. But if you go to any of the high profile sales - for Simmental it would be like the Bulls of the Bluegrass or the Belles of the Bluegrass - the cattle are noticeably bigger in both frame and weight. Last edited by Bright Raven on Sun Jan 13, 2019 6:04 pm, edited 1 time in total. Brookhill Angus wrote: It's come to my attention that there is a big debate about how big a cow should be, including fertility issues, mobility, etc. The prevailing school of thought that I see on Cattle Today is that 1200-1400 pound cows are ideal, anything over that is "Obese". It also seems that a cow with a really big frame is thrown into the "obese" or as someone said about one of our cows "a fat pos". I've heard that a fat momma will just simply not hold up. I assume that conditions in North Dakota are brutal in the winter at best. They were all out of Most Perverted Penguin medals, so I guess i'll have to send you an participation until the others are in stock. Now if there was a monetary prize to go along with the medal I'd be applying I'm feeding with a cabless, 2wd Case IH C70. 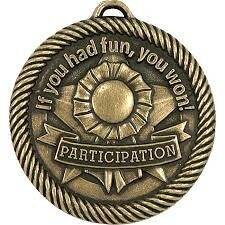 Okay, seeing as there is a medal on the line.... I used to feed with an open station JD 4020. Cows a mile North from the house. Even at -60F. Into the North wind. PM me for my address for sending the medal. At -60F I will withdraw from the running and vote for you to get the medal. I'm getting cold at over 30F and dreading any colder than that. bse wrote: I hear that S A V promotes that they don't creep feed calves, but the give them mommas all the silage they want, which is better than creep feeding calves. Don't know any of it for a fact just hear say. Corn silage TDN is cheap to grow. Storing and feeding it can get costly. Per head numbers are easy to calculate, but unless your land is free you also need to look at per acre. Silver, we feed in the cold with an open cab too. We have to keep the block heater plugged in to the tractor for a few hours beforehand once it gets supercold (we spend a lot of the winter with real temps around zero or less, and wind chills 20 or 30 below, so not quite as cold as you but gettin there). We are fiddling with installing a device that will let us turn on the power to the heater from the other side of the farm. Will be great if it works. Does feeding with a cabless 2wd IH 674 w/2250 loader and a chain on bale spear in the snow get any thing?!? To add on top of that we had 80" of rain in 2018. Have been waching two Simmental farms on facebook for some time. They sometimes post their weaning weighs, yearling weights, mature weights, etc. Very strong traditional Simmental, cows being around 2000lbs. But they have very good weaning weights too. From what they've posted heifers at ~7months age are around 900lbs, seen one posted at 7.5months weighing 1001lbs. Bulls at 7months are ~1000-1100lbs, seen at one farm 9 months olds being +-1400lbs. The most recent record on one farm is 120days age 634lbs bull calf. One my friend raises Angus. Just recently posted his 120days weighing results. The highest DWG was 3.5264lbs, average 3.146lbs for bulls, average for heifers 2.618lbs. He doesn't creep feed calves. His cows are +-1500-1600lbs, some maybe abit smaller. lithuanian farmer wrote: Have been waching two Simmental farms on facebook for some time. They sometimes post their weaning weighs, yearling weights, mature weights, etc. Very strong traditional Simmental, cows being around 2000lbs. But they have very good weaning weights too. From what they've posted heifers at ~7months age are around 900lbs, seen one posted at 7.5months weighing 1001lbs. Bulls at 7months are ~1000-1100lbs, seen at one farm 9 months olds being +-1400lbs. The most recent record on one farm is 120days age 634lbs bull calf. It's amazing what good cattle on good forage can do. My dream is to be able to keep my cattle on good tame pasture from calving to weaning. I'd even just like to try it with a small trial group if I had a place to do it. One place I buy bulls from doesn't creep feed, runs on good tame pasture with the pairs that are raising the bulls, and produces weaning weights at least as good as what you report there. It's good to have cattle that can do well under tougher conditions, but it's also nice to know what they are capable of under ideal conditions. Have you considered an Espar or Proheat? A little pricey, but you can program their start and stop time days in advance, and they do an amazing job of circulating the warm coolant throughout the engine. Might even find a good used one somewhere. Doesn't take them long to have your engine up to nearly operating temp. What does tame pasture imply, never heard that term..are is it self explanatory?? Might be I got one and didn't know it..